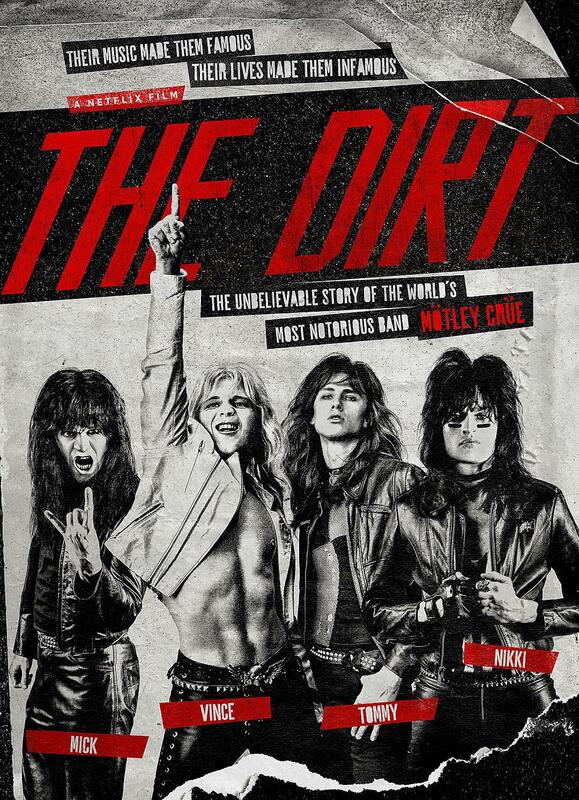 Motley Crue are streaming “Ride With The Devil” and “Crash And Burn”, a pair of new songs featured on the March 22 release of the Netflix biopic “The Dirt”, and its companion soundtrack album. “Everybody is playing like mad and the songs crush,” posted bassist Nikki Sixx at the time, adding, “You can trust us, these are ball-busters. Everybody can relax. We're soon gonna smack you upside the head with some killer new tracks. Bob Rock is producing. It's our movie. We know what we're doing." Based on Motley Crue’s 2001 memoir of the same name, “The Dirt” is directed by Jeff Tremaine and follows the group’s rise from the Los Angeles club scene to headline-making international stardom. The film features Douglas Booth as Sixx, Daniel Webber as Vince Neil, Machine Gun Kelly as Tommy Lee and Iwan Rheon as Mick Mars.